I like to point out at the beginning of each of my car reviews that I am not a technical car reviewer. I am more interested in comfort and drivability than in the technical stats. And let me tell you – the 2015 Hyundai Sonata scored a perfect 10 in both comfort and drivability for our family. Never before has my husband been so smitten with a car. I am not joking or exaggerating when I say that he commented on how much he loved (I mean…really LOVED) the Sonata every day that we had it parked in front of our house. He stole the keys and took the Sonata out as often as he could during those 7 days…and I dare say he even volunteered for more errands during that week as well, just so he could spend time in the Sonata. I have never seen him fall in love with a car the way he fell in love with the Sonata. While I have been able to test drive several Hyundais over the last few years, this was the first Hyundai I’ve had the chance to bring home. ONE day was all it took for my husband to seriously consider adding a Hyundai to our family. Each subsequent day in the car just convinced him even more. 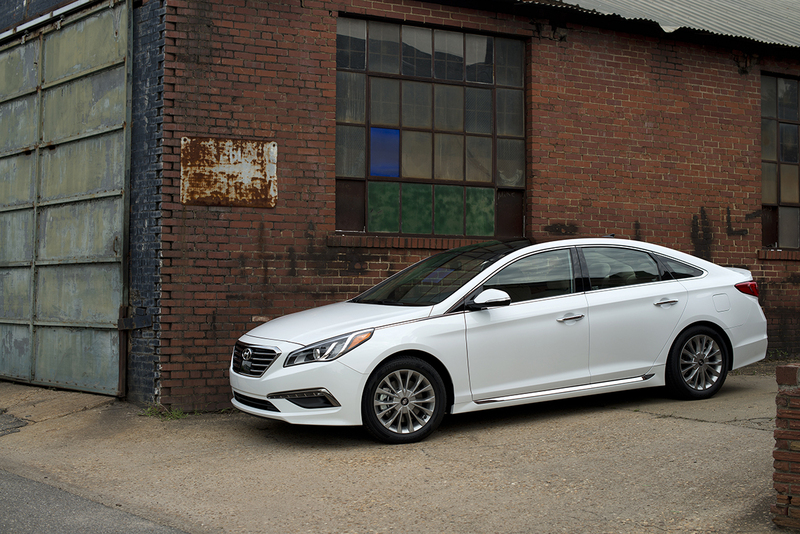 Want to learn a little about the 2015 Sonata…and why I’m sure you will fall in love with it, too? The 2015 Sonata is available in 3 models: The SE, the Sport (more volume), and the Limited (the premium model). The Sport 2.0T (2.0L Turbo) has an even sportier body and feel with its super-responsive turbo-charged engine. The new Sonata has an incredible 106.1 cubic feet of passenger volume and a total interior volume of 122.4 cubic feet. Since I’m a mom of teenagers (one of whom is 5’8″) I love finding cars that have plenty of leg room. The Sonata was equally as comfortable for the driver and front passenger as it was for the 3 passengers in the back. The fuel economy on the new 2015 Sonata varies from 23-28 MPG city and 32-38 MPG highway, with a combined 28-32 MPG. The 2015 Sonata begins at $21,150, with the base model $300 less than the previous year model it is replacing. 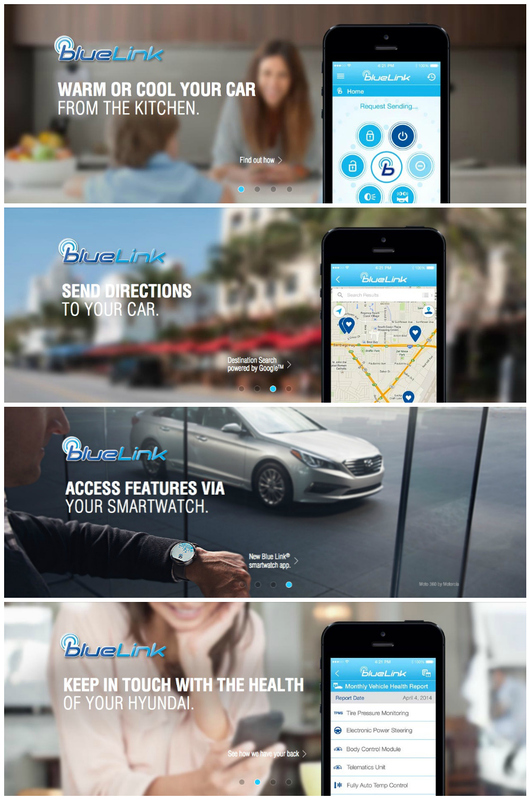 The 2015 model Sonata is the second Sonata to offer the next-generation Blue Link system, but this time it comes with the new Hyundai Assurance Car Care in-vehicle app. You can even control features in your car with your Android Wear smartwatch. Incredible! Automatic Collision Notification: Your car automatically calls for help so you don’t have to worry about a thing. SOS Emergency Assistance: Help is just a button push away, 24/7 – 365 days a year. Service Link: You can schedule a Car Care appointment with your preferred dealer from your vehicle without even using your phone. Monthly Vehicle Health Report: A vehicle health evaluation of key performance systems will be delivered to your email monthly (or you can check it out in the mobile app). 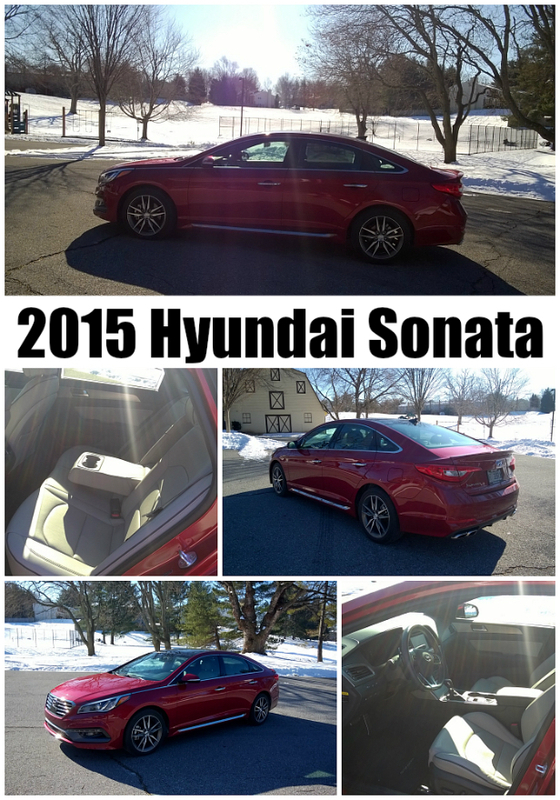 The 2015 Hyundai Sonata totally wowed our family. I can’t wait to introduce my family to more of the Hyundai family! The top collage images were taken by me. All other images are courtesy of Hyundai. This looks like such a nice vehicle! Hyundai has really come a long way over the years!